After five years, about 17 percent of those on Vascepa had suffered one of these problems—a heart attack, stroke, heart-related death or clogged arteries requiring medical care—versus 22 percent of the others. That worked out to a 25 percent reduction in risk. 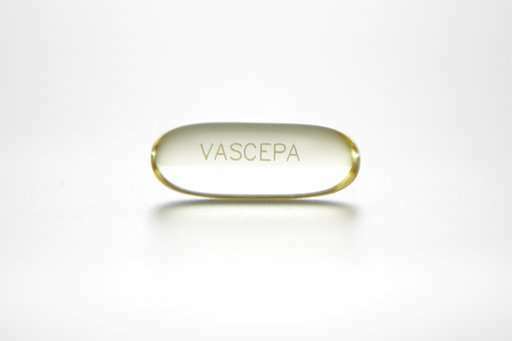 Looked at individually, heart attacks, heart-related deaths and strokes all were lower with Vascepa. Only 21 people would need to take Vascepa for five years to prevent one of the main problems studied—favorable odds, Stein said. 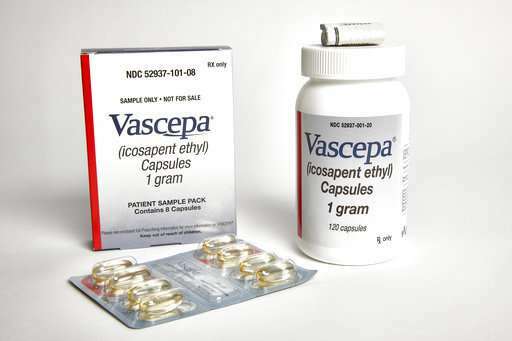 Side effects may be a concern: More people on Vascepa were hospitalized for an irregular heartbeat—3 percent versus 2 percent of the comparison group. Doctors say that's puzzling because other research suggests fish oil lowers that risk. The other study tested a lower 1 gram daily dose of a different type of fish oil—an EPA/DHA combo sold as Lovaza or Omacor and in generic form—in 26,000 people with no prior heart problems or cancer. There were fewer heart attacks in the fish oil group—145 versus 200 in the comparison group. The study leader, Dr. JoAnn Manson at Brigham and Women's, called that "a substantial benefit," but several independent experts disagreed because of the way the study was set up to track this and certain other results. Vitamin D did not affect the odds of having a heart attack or stroke or developing cancer. After excluding the first two years of use, researchers saw fewer cancer deaths among those on the vitamin—112 versus 149 in the placebo group. You need to get these nutrients from natural whole foods, it's the only way your body will absorb it. I notice some contradictions in the article. And to make a comparison between a highly refined fish oil with a highly refined crude oil product has to be a cruel joke. It appears to me to be just another attempt by a big drug company to foist another expensive drug of dubious value on an already over medicated America. Fish oil goes bad easily. Supplements have been chemically modified to prevent oxidation. But if it is stabilized then it will be harder to absorb and digest. This and related articles would be much more informative if they discussed this problem and how they got around it. The negative tone of this article is unwarranted. Despite the large number of participants, the small number having cardiovascular events make the statistics challenging. There were many promising secondary end points that need to be checked out -- the only one the author mentioned was cancer. 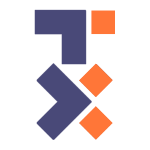 This was a slip-up by the investigators -- the latency period should have been included in the design of the trial. This is not the end -- it is the beginning. The body can't utilize calcium without Vitamin D. If your calcium gets low, your blood pressure goes up because of the calcium-sodium imbalance. This is a long term effect. Good nutrition is fundamental to good health. Good nutrition includes adequate intake of Vitamin D.
But SusieQue, this is just another in a long list of studies that show vitamins/supplements have no benefit in healthy individuals. It is easy to give someone a supplement and analyze their urine to determine how much was absorbed. People who take vitamins/supplements every day literally piss it all away. This article is a thinly veiled advertisement for the pharmaceutical company that makes Vascepa. I wouldn't be surprised if there was monetary compensation made to this site and/or author of this despicable crap. Remember that the pharmaceuticals Vioxx and Celebrex were responsible for the unnecessary deaths of at least 70,000 people which resulted in numerous wrongful death class action lawsuits. That is the vile reality and tragedy for so many people who obey their M.D. 's and never question their worsening condition. Natural fish oils, not this overly processed chemical, have been used to great advantage and effect by populations for centuries! I take 5,000 i.u. 's of Vitamin D everyday and have suffered no colds, flu, or serious illness. I attribute my robust health to my vitamin supplementation and avoiding anything made by these purveyors of death.